You don’t lose weight when you’re hungry. Below is the ultimate Dukan diet food list with over 100 allowed food items: all pure protein foods for the first phase, the vegetables to enjoy in the second phase, what drinks are disallowed and what are the recommended ones. All you need to know about the Dukan diet food list, you can find it here. Also, if you have questions, leave them in the comments below and we’ll be happy to answer. There are about 100 nutritious foods that you can choose from to satisfy your hunger during the 4 phases of the Dukan diet. In the first phase you will focus on eating protein-rich foods only, then you’ll combine them with vegetables. Here is the Dukan diet food list for the first phase: The Attack Phase. You can eat any of these pure protein foods starting from day one of the Dukan diet. Tuna, fresh or canned in water. Wheat gluten (max 4 tbsp per week). Starting from the second phase you can now use a teaspoon of olive oil to cook your meals. 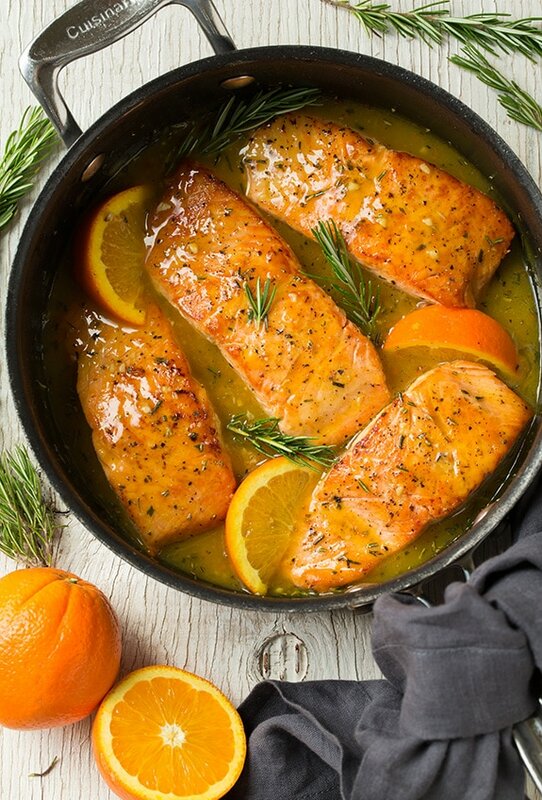 This food was introduced in the Dukan diet because is the healthiest option for cooking: is rich in omega 3 fatty acids and vitamin E.
Water, sugar-free coffee, diet coke, and sugar-free tea are the drinks allowed during all phases of the Dukan Diet. The only things you can add to your coffee are skimmed milk and stevia. When you’re thirsty, water is the only thing your body needs. These are all the foods I can think about that are allowed during the Dukan diet program. 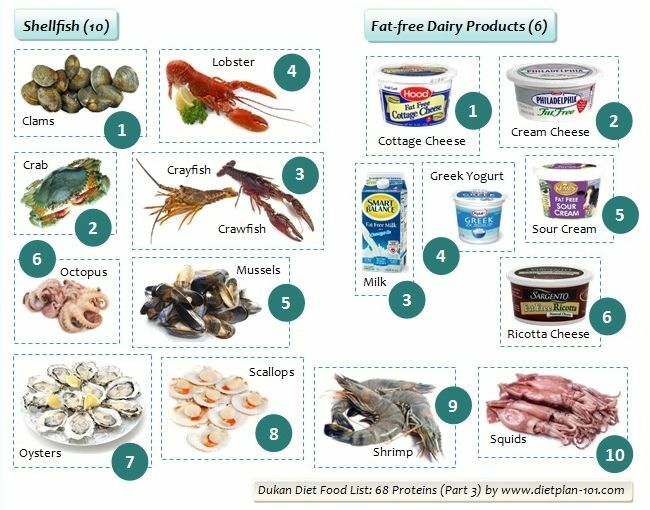 If you know other foods that should be on the Dukan diet food list, just comment below and I will update the article with the new information. Also, questions are welcome! This diet would be very restricting for vegans. Would you still recommend this diet to them? Also are you allowed to do more vigorous exercise during this diet or is it only low intensity exercise? Diet coke? Really? Do your research-worst drink ever! What is the serving size for veggies in phase 2? Can I drink sugar free squash (cordial)? Can I use unsweetened almond milk? Can I exercise and what are the recommendations besides walking? Is protein powder okay to use to make protein shakes or in recipes? Why is there a picture with chicken in organges? I thought oranges where not allowed? No fruits at all on this diet? In the attack phase (the first phase) you can not eat any vegetables? And can I cook food in sunflower oil or some other kind of oil, or else all the food will burn…. 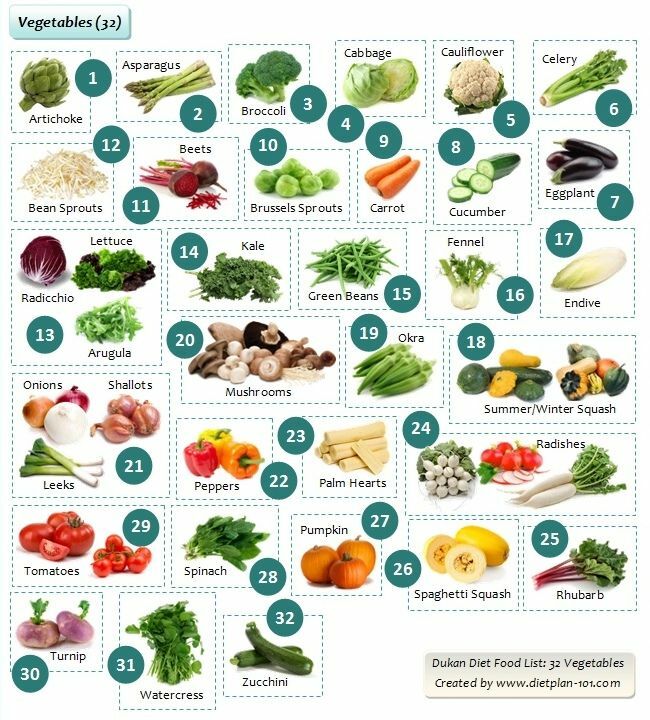 These 12 nutrient-dense foods pack up all the vitamins, minerals, and macros your body needs to gain energy, and be more active and healthy. What foods and how many macronutrients can you eat during the Ketogenic diet? Here's the complete keto diet food list and macro guide! With so many diets online it's really hard to find an effective one. So this list will minimize your searches to five best weight loss diets. You can control your food cravings by getting professional advice, exercising regularly, eating healthy foods, and meditating periodically. Our diets differ depending on the sport we practice and the energy we consume. So let's see what a diet for a tennis player is made of. Natural cleansing can bring numerous benefits that help you reach your health and fitness goals easier. Just take a look over this list. People are using the intermittent fasting (IF diet) to lose weight, but they later find other benefits of fasting, both physical and mental. How To Pick The Right Online Weight Loss Programs For You? We broke down 12 steps and tips you can use to identify which of the multitude of online weight loss programs fits you best. The results of the low carb keto diet are different from person to person. Learn how you can optimize it to work best for you. Are you on the Ketogenic Diet? Then these simple keto hacks will make your weight loss journey easier, faster and safer.